← Redoing furniture on the cheap – my favorite products! Heat outdoor grill or indoor grill pan. Clean mushroom and remove stem. Brush mushroom with olive oil on both sides and sprinkle with salt and pepper. 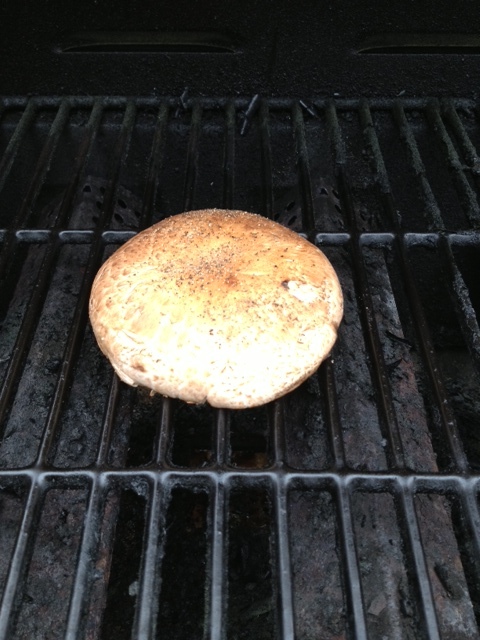 Place mushroom bottom side down on grill, wait about 5-8 mins and flip. Ignore how filthy my grill is, it’ s just starting to see some action with all of this nice weather we’ve been having. Cleaning it will be tomorrow’s naptime project! 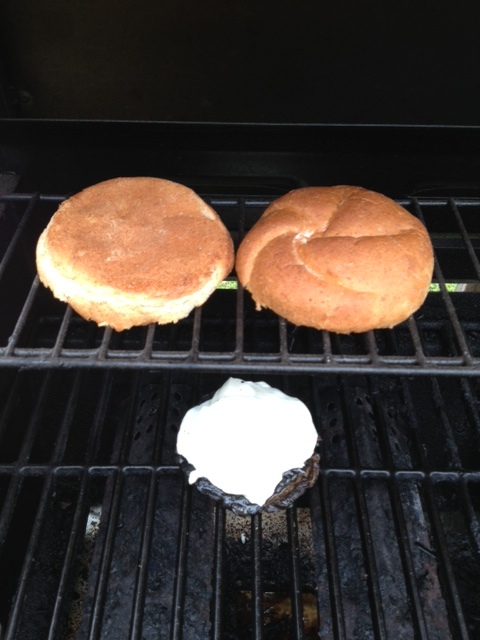 Once mushroom has been grilling top side down for about 5 mins layer your sliced cheese on top and place your bun on warming area of grill to toast it. Allow cheese to melt. 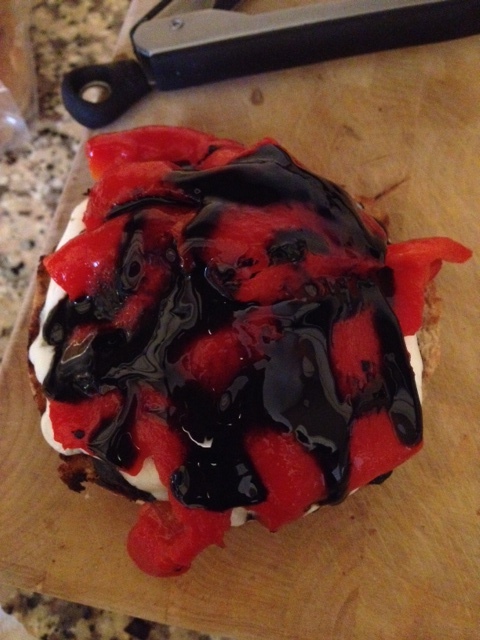 Once cheese has melted assemble your sandwich by placing the portabella and cheese on the bun, followed by the roasted red peppers and a drizzle of balsamic glaze. Enjoy! 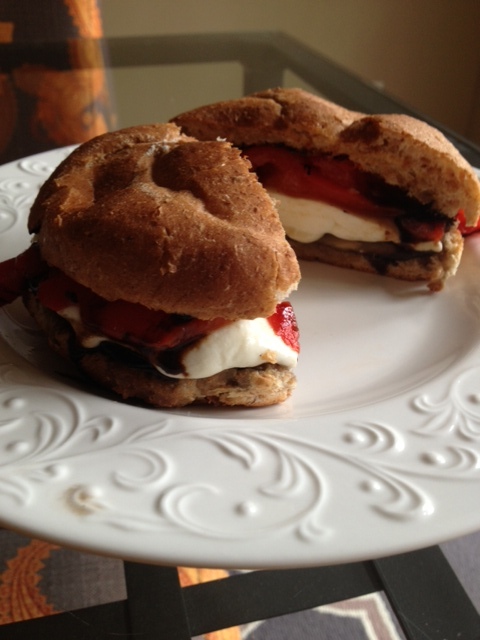 I love grilled portabellas! Perfect meat substitute.